In memory of So’oalo Roger Stanley! A staunch figure in the Samoa Fa’afafine community has passed away. So’oalo To’oto’oali’i Roger Stanley died on Friday night. He was featured in the list of Samoa Observer’s People of the Year for 2017. 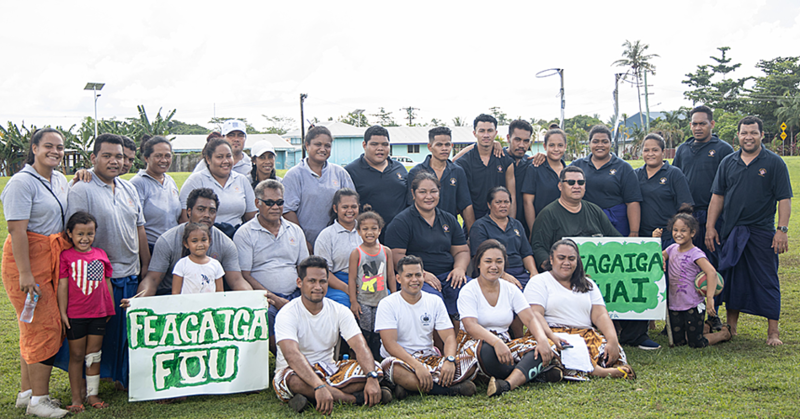 Enhancing the standard of living, extending a helping hand and building the capacity of others is no foreign concept for the Samoa Fa’afaine Association (S.F.A.). The non-profit association, which aims to help fa’afafine’s who are affected by social stigma, discrimination and stereotypes, has but one simple goal in mind, to address issues faced by the fa’afafine community and to provide solutions to counter them. And with So’oalo Roger Stanley at the helm, S.F.A.’s possibilities of helping others are endless. Judging from all the good work the Association has accomplished, it is safe to say that he has been doing an extraordinary job at that. But that’s not all; S.F.A’s helping hand does not stop with the fa’afafine community. Through various charity programmes, S.F.A. has proven time and time again that helping others is their way of life. 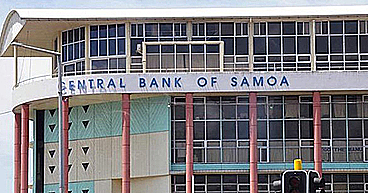 Although juggling his formal employment at the Samoa Tourism Authority (S.T.A.) while running S.F.A. is a challenge, So’oalo remains committed. So how did S.F.A. come about? According to So’oalo, it all began like all things do; with a gathering of friends who shared mutual goals, interests and concerns. “We started this off with a couple of friends,” he said. So’oalo said the other purpose for S.F.A. is to stop the exploitation of fa’afafine’s. He explained that before S.F.A. 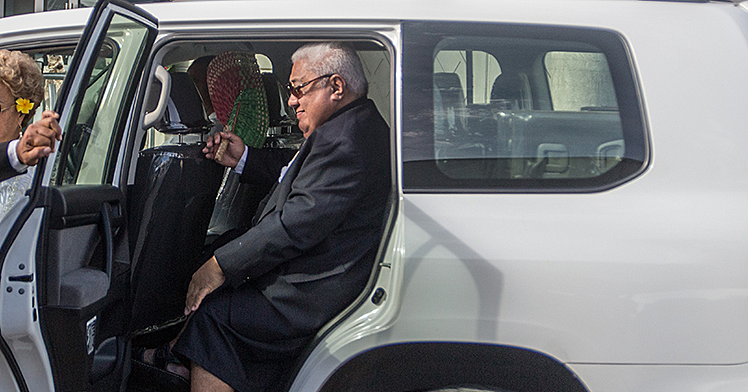 came about, the fa’afafine’s would be used for entertainment purposes through different beauty pageants and at the end of the events, the proceedings ended up in the pockets of others, not those who worked hard for it. “Over the years, a lot of people used fa’afafine’s for fundraising,” So’oalo said. Furthermore, So’oalo explained that the Association provides solid annual plans for the fa’afafine community. This was long sought after due to the community only gathering during certain seasons, sometimes only twice a year. “Another purpose for creating the association was to create solid programmes for the fa’afafine throughout the year,” So’oalo said. And with more control over the proceedings raised during fa’afafine events, S.F.A. can now control where the money is used. According to So’oalo, most of it is always given to charity programmes with just a fraction kept to keep the association running. But no matter how much good S.F.A. and So’oalo does, they are still targeted negatively. And with many affected by stereotypical views of the public, S.F.A. has developed into somewhat of a safe haven providing the fa’afafine community with help through counseling, trainings and even just a place to chat. Asked for some examples of assistance provided by S.F.A., So’oalo explained that apart from offering a safe haven for the fa’afafine community, they also help through various trainings. He added they have experienced great success with the work they have been doing. “Over the years, we would host vocational trainings,” Sooalo said. “We are just trying to build the capacity of the fa’afafine community. There are so many who leave school early with nothing to do so we train them in different areas. “Trainings include weaving, sewing, floral arrangements and other activities they can build a career out of and end up becoming independent while earning a bit of income. And with a good team backing So’oalo, progress is inevitable. “I wish work like this would put bread and butter on the table,” he said. “Most of our management team holds formal employments so it’s not easy to juggle that and run an association like this. “Without a proper headquarters, I would have people visit my office to have a chat or for counseling. There would be times where I want to step down but my heart for the fa’afafine community keeps me hanging on. “The same goes for the other members of S.F.A. ; I am glad to have a very good backing team. The idea here is to rely a lot on my team and less on foreign donors because I try to build on their capacity. “That’s how many N.G.O.’s fail; they would get funds, misuse them and when support stops coming in their team won’t have the capacity to keep running and would shut down. Asked for challenges they are currently facing, So’oalo explained that not having an official office makes things harder. “Our main challenge right now is not having a proper office or a drop-in center to help others properly,” he said.